Content marketing has led to thousands of companies creating quality content for free, and content curation as a trend to deal with that has emerged. It’s not enough to just produce great content, but you also should share great content from others with your audience to build your brand and show you have your finger on the pulse. Finding interesting content to share with your audience is not complicated, but it requires time. Sharing that content is also not hard, but you should avoid a few common mistakes when sharing third-party content in order to not harm your other content marketing efforts instead of supporting them. In this post, I will share a few tips and tricks I recommend to my clients on content curation. This is not about tools and apps; there are thousands of blogs on that topic, but is more about the rules to follow when sharing content. Lots of mediocre content is shared under a very fancy (click baiting!) headline. I suggest sharing only content you have read and can fully recommend to your audience. Otherwise you will lose in the long term because readers don’t get value out of these articles. Before launching your digital marketing channels, you potentially were thinking about who you want to target. Now don’t just share any “good” content, which potentially is meaningless to your audience (think about what they subscribed for in the first place). This does not mean you can only share content that supports your opinion—just set the stage right when sharing content. You created content that fits into this mission; now don’t share content that counters that. These are the very popular items on very broad topics that no one wants to miss. Try to find the hidden gems in your content network and share these items instead of what has been around for ages or is found on every other Twitter or Facebook page. Google an article and see how many people have linked to it already. Check how often the article has already been shared on social media. Check the pages of your competitors if they have already shared that piece of content. It doesn’t matter if you are a digital marketing manager in a big corporation or a freelance blogger—try to build a network of trusted content advisors. Follow the right people (not everyone) on Twitter or LinkedIn, subscribe to blogs from your industry, and connect with other content curators to get a glimpse of what your audience receives, reads, and discusses. If you already run established social media channels or a blog, you may have people following what you do closely. Get in touch with them! If you have resources, you could also make this somewhat formal, providing benefits to those providing great content. Set up a hidden Facebook group, a WhatsApp or Slack channel, and let the group share interesting content but also ask them for feedback on what they think about the content you share. Discuss and provide feedback on the shared content. Look at this as a virtual group within your company. Don’t forget to thank people who are providing great content. Make content sharing a topic in your existing content planning meetings. The group doesn’t need to be about your company/channels in particular. Especially if your brand won’t attract people yet. It can be about your primary topics, the location you are working in, the industry, or similar things. Sometimes groups already exist, and it can be easier to be a powerful node there instead of building everything on your own. Reposting content by pressing a button gives the feeling that “something got done”. However, in order to really provide a benefit while sharing content with your audience, comment on it. Craft your own short critique, recommendation, or teaser text on why one should spend time on a specific content item. This is important, as it is the only way to make a difference to hundreds of others just pressing the retweet or share button. Don’t just post content using the URL, add your own text. 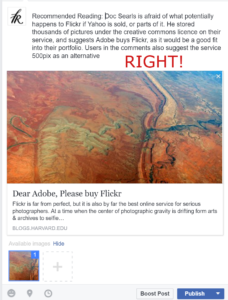 Check which image the article is shared with and, if necessary, change it. Add specific hashtags and/or mention the right accounts. Summarize the most important points of the article in your own text (readers need to understand your comment without reading the article). Instead of just posting “Interesting,” I would add the following intro text when posting this article on Facebook or LinkedIn. Where to Share the Content You Recommend? Start a new separate channel, an email list, or a Tumblr blog. Also, I would suggest subscribing to a few channels curating content. 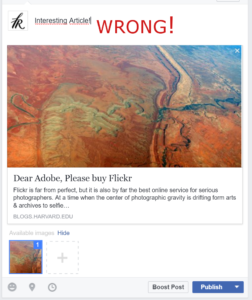 You can find some in my post on how to find content outside Facebook. There is no issue with this. However, be careful to not cross the thin line over which it feels like spam. Your loyal followers may get annoyed pretty fast. 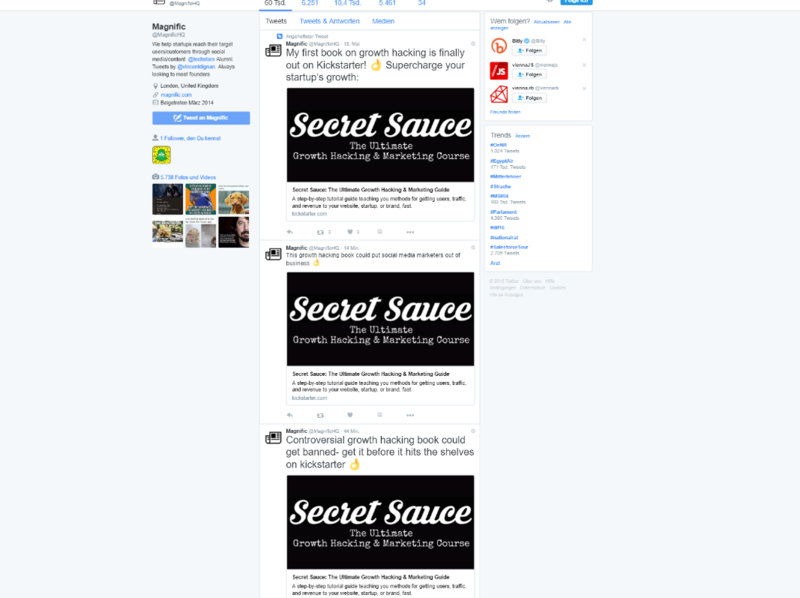 As an example, take this Twitter account promoting a kickstarter campaign for a new book. During the last few days, nearly every time I scrolled through my feed, I saw a tweet promoting the book. It’s annoying! Creating and sharing digital content requires a set of tools. 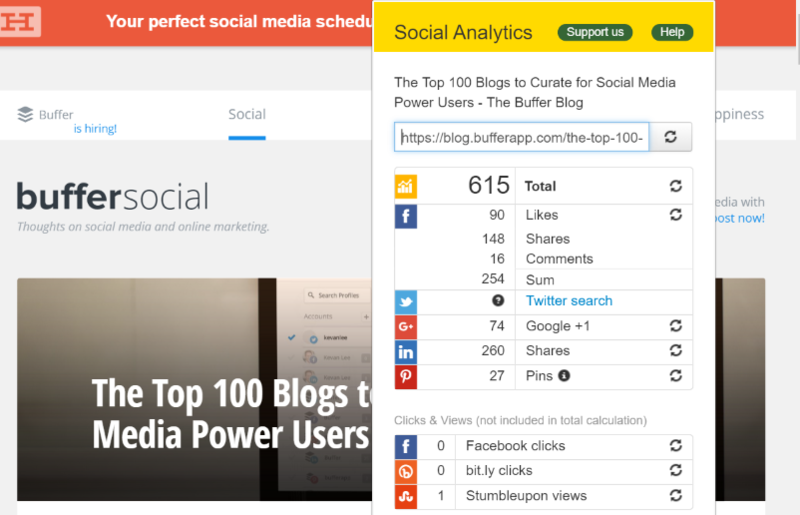 For social media publishing you can rely on your existing tools (like Buffer or Hootsuite). There are also specific tools on the market targeting the needs for heavy content curation, but for most of us, simple web services will do the trick. For collecting and discussing content, I would recommend using the existing communication tools and/or a social bookmarking service (like Pinboard) instead of adding another layer of communication or meetings. Create an additional channel in Slack or Yammer (whatever social enterprise tool your company is using). Not Only Share, Discuss Content! Following these steps is great to get noticed as a valuable source of great content. If you also want to get noticed as a thought leader, comment on the articles you share and reach out to the writer on Twitter and give feedback. Why is This Important Overall? With loads of content published daily in your network, you have to stand out if you want to get noticed, get traffic, or start discussions. Just keep the 1% rule in mind, content shared in bad quality drives your chances to get noticed down. A simple rule to follow: The lower the quality of what you share brings lower quality followers. Thanks to Luca and Nick for providing feedback on this post before publishing.